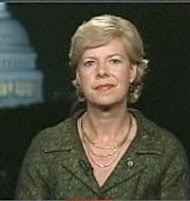 In the first installment of this exclusive audio interview, Emmy Winner Charlotte Robinson discusses with Congresswoman Tammy Baldwin (D-Wis) America’s Affordable Health Choices Act (H.R. 3200). The plan for health care reform promises to lower costs, provide better care, and keep our insurance industry competitive and fair for all consumers. In this unique format, questions were submitted from across America by Huffington Post Citizen Journalists expressing their concerns on how this bill will effect their health insurance needs. Exacerbating this issue is a virtual deluge of often-confusing and overwhelming information. Congresswoman Baldwin explains this bill in comprehensive language we can all understand. 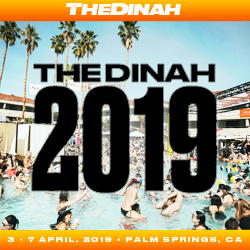 “For the first time in more than six decades, as we begin to transform our economy and reclaim our stake in the American Dream, health care for all is within our grasp. I am proud to bring Wisconsin’s common sense and good ideas to this effort,” said Congresswoman Baldwin, who sits on the Energy and Commerce Committee and its Health Subcommittee. Congresswoman Baldwin is the first woman elected to Congress from the state of Wisconsin, and is currently serving her fifth term. She was also the first ever openly gay non-incumbent to be elected to the House of Representatives. Baldwin explains the language she successfully added to the health care bill addressing the LGBT community. This is crucial since our LGBT community presently does not have federal rights, benefits and protections for their families. “One of the things that is very, very frustrating for people today with regard to health care is what is known as the individual market. If you don’t get health care through your employer or through your spouse who is employed then that’s one of the most difficult ways to get health insurance. Sometimes it’s way overpriced and there’s no way you can afford it. Sometimes you’re disqualified for pre-existing conditions, and sometimes the rates are based upon factors, over which you have no control, that are discriminatory.” Baldwin added. Baldwin is one of three openly gay members of Congress, the others being Barney Frank of Massachusetts and Jared Polis of Colorado. In this exclusive audio interview Emmy Winner Charlotte Robinson discusses with Lee Swislow, Executive Director of GLAD, the Gay & Lesbian Advocates & Defenders, the status of the lawsuit GLAD filed in federal court challenging the constitutionality of the Defense of Marriage Act, DOMA. The suit was filed in March 2009 at the Massachusetts Federal District Court. According to Swislow, GLAD has had its first taste of victory against DOMA. One aspect of the original lawsuit was suing the State Department for refusing to allow Massachusetts legally married gay couples to change their name and marital status on their U.S. passports. This has been resolved and the State Department will now recognize gay marriages in states where they are legal when issuing passports as they do with heterosexual marriages. GLAD’s lawsuit will be amended to reflect this breakthrough placing more emphasis on how legally married gay couples are denied federal income tax credits, employment & retirement benefits, health insurance coverage & Social Security payments. GLAD has been instrumental in bringing gay marriage to America, first in Massachusetts in 2004 and now totaling 5 New England States including Connecticut, Vermont, New Hampshire and Maine. Join them for their Summer Party in Provincetown, MA on July 25th. 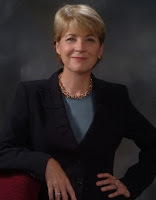 In this exclusive audio interview Emmy Winner Charlotte Robinson discusses with Arline Isaacson, Co Chair of the Massachusetts Gay & Lesbian Political Caucus, the ramifications of the lawsuit Massachusetts Attorney General Martha Coakley has filed against the U.S. government which seeks federal marriage benefits for over 16,000 gay & lesbian couples who have legally married in Massachusetts. The Commonwealth is challenging the constitutionality of the federal 1996 Defense of Marriage Act, saying the law denies "essential rights & protections" to gay couples who have married since Massachusetts became the first state in the nation to legalize gay marriages in 2004. Isaacson who spoke directly with Attorney General Coakley as she historically and courageously became the first Attorney General to take on DOMA shares her first hand account of how this legal maneuver will effect the future of LGBT civil rights in Massachusetts and America. The Defense of Marriage Act, or DOMA, denies gay and lesbian couples access to more than 1,000 federal programs and legal protections for their families. President Obama has stated that he would like to see DOMA repealed. Massachusetts Attorney General Coakley, who filed the suit, cited several benefits denied to gay couples, including federal income tax credits, employment and retirement benefits, health insurance coverage & Social Security payments. "We view all married persons equally," Coakley said. 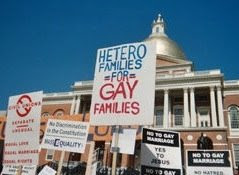 In March 2009 the Gay and Lesbian Advocates and Defenders (GLAD) filed suit against the federal government on behalf of 8 Massachusetts gay married couples that have been denied Federal benefits for their families. Isaacson said that “The timing couldn’t be better for the Coakley’s suit. There's a good chance these cases will merge together since they both appear to be heading to the federal Supreme Court." In this audio interview Emmy Winner Charlotte Robinson chats with Writer/ Author Bob Morris about his latest book “Assisted Loving” and the future of LGBT civil rights in the Obama administration. “Assisted Loving” is a moving and hilarious account of how an openly gay man deals with his 80 year old father’s dating life. A few months after the death of his mother, Morris’s father approached his son about his desire to re-enter the dating scene by asking him to screen some elderly women he had circled in personal ads. At first Morris was appalled but his father explained that “ It just worked so beautifully with your mother for 50 years, that I’d love to do it again.” Morris agrees to help and gets much more than he bargains for. One of Morris’s inspirations for the book is a quote by Tennessee Williams “You begin to forgive the world when you forgive your father.” Bob Morris takes the reader on an intimate, amusing and unpredictable ride. This is a perfect summer must-read best-seller that has just come out in paperback. 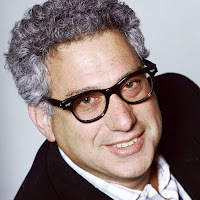 Morris, a contributor to the New York Times Sunday Styles section, has written for the “The New Yorker”, “Travel & Leisure” and has been a commentator on NPR’s “All Things Considered.” “Assisted Loving” is currently in development at NBC. In this exclusive audio interview, Emmy Winner Charlotte Robinson discusses gay civil rights with three cutting-edge filmmakers: John Waters, Guy Maddin & Robert Lee King. First, Writer/Director John Waters ("Pink Flamingos", "Female Trouble", "Hairspray", "Cry-Baby" and my fave, "Serial Mom".) As an openly gay man, Waters is an avid supporter of gay civil rights. He chats about what he sees for the future of our LGBT community in the Obama administration. He also talks about how difficult this economy is for independent filmmakers in securing financing for their films. He states that Hollywood is doing fine but even his current film project “Fruitcake” is on hold since European funding seems to have all but disappeared in the present market. Thirdly, Writer/Director Robert Lee King (“The Disco Years, “Psycho Beach Party”, "Slap Her, She’s French” and the upcoming “818”.) King was recently honored to have “Psycho Beach Party” screened as a drive-in feature at the Provincetown International Film Festival, speaking volumes about its durability as a well-loved cult classic. King, based in Hollywood California, addresses our LGBT issues and concerns honestly and eloquently.